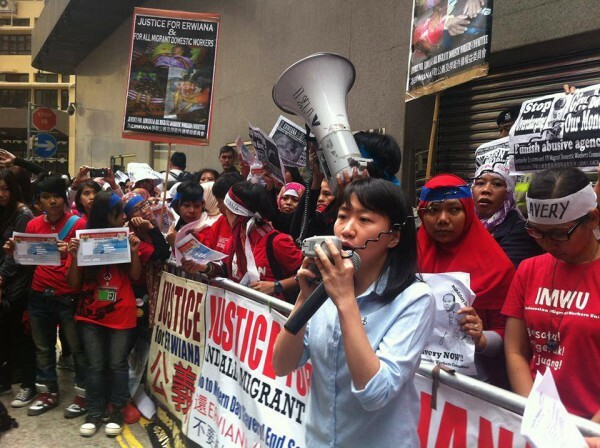 Chinaworker.info – Erwiana’s court victory – now to step up the struggle for migrant rights! Erwiana’s court victory – now to step up the struggle for migrant rights! Tuesday 10 February will be remembered as an important date in the long struggle of migrant domestic workers against abuse and discrimination in Hong Kong. The district court delivered a guilty verdict against employer Law Wan-tung for beating, starving and abusing Indonesia domestic worker Erwiana Sulistyaningsih over an eight month period. Law was found guilty of 18 of the 20 charges laid against her. This was described as a “landmark case” by news media worldwide including Time magazine. Erwiana’s ordeal “sparked global outrage” noted The Telegraph (UK). “I hope they will start treating migrant workers as workers and human beings, and stop treating us like slaves,” Erwiana said at the end of the six-week trial. It is clear that the protests by thousands of domestic workers in Hong Kong, including a succession of colourful street marches, have won widespread sympathy from other sections of society and put the authorities – including the courts – under pressure by exposing the city’s unjust employment system for migrant domestic workers which leaves them prone to physical abuse and violations of basic rights. “We are very inspired by this victory. We will make use of it to further our struggle for domestic workers’ rights,” Eman Villanueva from the Asian Migrant Coordinating Body told chinaworker.info. 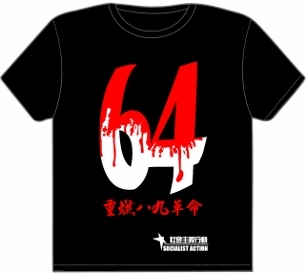 Many agree it is essential the pressure is increased upon the Hong Kong government. Amnesty International issued a statement saying, “The guilty verdict is a damning indictment of the government’s failure to reform the system that traps women in a cycle of abuse and exploitation.” In 2013, Amnesty condemned the “slavery-like” conditions faced by Indonesian migrant workers and accused the Hong Kong government of “inexcusable” inaction. Erwiana was held as “a prisoner” said the judge. The court heard of the horrific treatment suffered by Erwiana at the hands of her employer. She was punched in the face so her teeth broke and a vacuum cleaner tube was forced into her mouth causing her lips to bleed. She was starved – fed nothing but meagre portions of bread and rice – and allowed only four hours sleep each night. Erwiana became a “prisoner” of Law Wan-tung, in the words of Judge Amanda Woodcock. Law threatened to have Erwiana’s family killed if she ever reported the abuse. 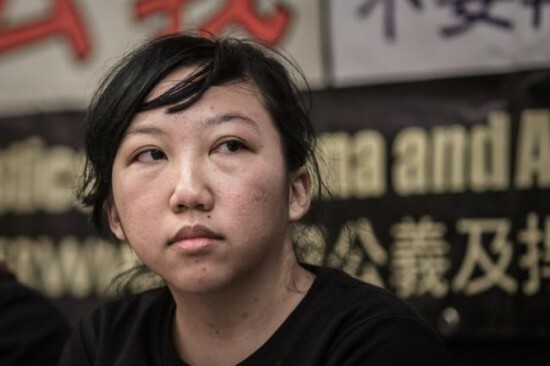 Prosecutors said she was treated as an “unpaid slave” – Erwiana never received any salary from Law, who was also ordered to pay HK$28,000 in unpaid salary. Around 320,000 foreign domestic workers, sometimes called ‘helpers’, live and work in Hong Kong. Half come from the Philippines and almost as many from Indonesia. In recent years they have become a growing force with high profile protests to demand reform of the unjust employment laws and action against the recruitment agencies that routinely break the law by overcharging workers and forcing them into a form of debt slavery. Migrant domestic workers are forced by law under the so-called ‘live-in rule’ to live in their employer’s home. This law has no purpose other than as a tool of social control – to prevent migrants living independently and putting down social roots in the city which would increase their economic bargaining power. The ‘live-in rule’ robs them of privacy while also reinforcing their vulnerability to the power of the employer who is also the ‘landlord’. Living at their place of work inevitably makes the work day harder to regulate and pressures domestic workers into working excessively long hours. Amnesty’s survey found that Indonesian migrants worked an average 17-hour day in Hong Kong. While abuse and violence on the scale suffered by Erwiana are not typical, the isolation described by the judge is a reality for many domestic workers in Hong Kong. The judge’s comments are therefore a powerful argument for abolishing the ‘live-in rule’. But instead the Hong Kong government is strengthening the enforcement of this law, with a police crackdown initiated some weeks ago including dawn raids against migrant workers accused of living outside their employers’ premises. “If the Hong Kong government insists on its existing policy, there will be even more ‘Erwianas’ – more abuse on migrant workers,” said Eman Villanueva. The hypocrisy of the Hong Kong government knows no bounds. Secretary of Labour and Welfare Mathew Cheung Kin-chung “welcomed” the court’s ruling in the Erwiana case. “This underlines the importance that the government and the court attach to protecting the labour rights as well as the well-being of foreign domestic helpers in Hong Kong,” he said. Workers cannot expect any “protection” from the Hong Kong government which only protects the interests of the billionaires. Today’s important victory in the courts must be used as a building block to an even more forceful struggle for migrant workers’ rights as part of a united struggle by all workers against this anti-worker government. 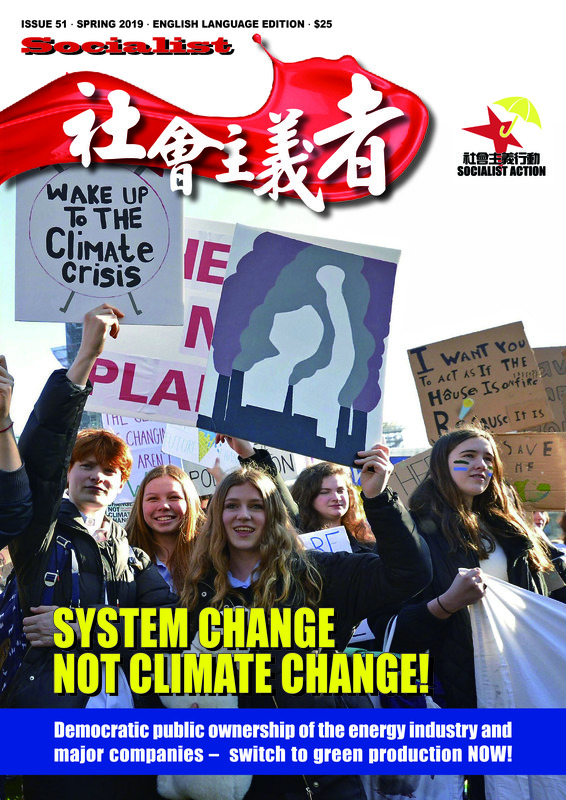 Sally Tang Mei-ching of Socialist Action speaking is support of Erwiana, February 2014.